Demands of branded surplus or stock lot garments are increasing day by day. Now a day’s buyers from various parts of the world are looking for surplus or stock lot garments. The main benefit of stock or surplus garments is the rate. All popular brand and designers label garments are in very cheap compared to the real sales price. To open a clothing business store you need a lot of stocks garments. Here is the great chance for you to buy the quality readymade garments at cheap rate from stock lots or surplus garments suppliers. And there is a question where you will get branded stock or surplus garments. You will get these types of products where the garments factories are available. According to Wikipedia Bangladesh is second-largest apparel exporter in the world market. And Sixty percent of the export contracts of western brands are with European buyers and about forty percent with American buyers. All of popular brands garments are available like GAP, Replay, H&M, Alcot, ZARA, Bareska, Springfield, Mango, Walmart, American Eagle, Jack&Jones, Tommy Hilfiger, Tom Taylor etc. On the other hand, the country’s labor wage is very cheap; that’s why the price of garments in Bangladesh is very cheap. All of these reasons Bangladesh are giant centers for this commerce. Ware house – In Bangladesh there are thousands garments factory all over the country, they produce trillions of pieces every year. But all products are not export from factory. In every shipment some of products will surplus. The surplus garments are sold to local market. The warehouse owner buys these garments and stock in ware house. In Dhaka more than 5000+ ware house, especially in uttara (near Dhaka airport). So to buy surplus garments you can contact with surplus garments suppliers. Google Search – You can search at Google by typing surplus garments or stock lots garments you will get too many suppliers address. Social Media website: Recently social media platform are very popular for business purpose. Like facebook, Twitter, linkedin etc. You can touch in facebook page by liked and join facebook group. You can also follow in twitter. Because all of suppliers upload their stock garments in social media. Sourcing or Buying Agent: One of the most important sources for stock or surplus garments. They have too many only samples of stock lot or surplus garments. They can also manage according to your demand. They are media between buyer and factory. This is most reliable and popular in stock markets. Garmentsstocklots.com is one of the most popular surplus/ stocklot garments suppliers/sourcing agent in Bangladesh. are you interested to buy stocks garments? man’s,ladies, boy’s, girl’s, knit, woven, sweaters and jackets etc. Please leave your message on our mail surpulsgarments@gmail.com and get price in details. Hi, You can contact us for International quality garments from Other Asian Countries, which people will like to buy fast. We are doing all kind of stocklot items and making fresh orders also. Please contact us thru mail with your requirements. Thanks. Hello I looking for Readymade Garments dealer in Bangladesh ..!! Please see my facebook page Export quality item. we can supply ready made stock garments from India. We are also supplier of garments stock lots. If you need any garments product with cheap rate please leave your message on surpulsgarments@gmail.com. hi i am rohan i read ur reply that you are able to provide clothe can i gt further information about it my contact number is:- 9322257710. I have a chain of garment shop and intrested in buy such kind of stocks whstsapp me on 911+8652601805. Now all of them are available to us. please leave your message on our mail and get in details about garments stock lots. hi Elan require your cell no …………………………. I am interested in. So please give me guideline. I am going to start my own whole sale boys garment business and i need surplus stock mainly in denim. kindly do let me know if you have some stock related to my requirement. I am iftekhar from bangladesh. I can supply stocklot item with cheap rate . if you interested on me please give me a response in my facebook page : export quality item or call/whatsapp/Viver. watsapp:01552441214 mens t-shirt picture did asian.twill long pant. I am working in knit garment industry over 16 years in tirupur. Please contact me if you need any bulk surplus garments. I am going to start my own whole sale boys garment business and i need surplus stock. SUBLECT : EXPORT SURPLUS, REQUIRED KNITTED AND WOVEN GARMENTS, AND FABRICS. ANY SURPLUS, SECONDS, REJECTION. WE MARIYAH INTERNATIONAL, MUMBAI, INDIA. BUYING AGENTS, COMMISSION AGENTS FOR VARIOUS BUYERS FROM VARIOUS COUNTRIES. WE HAVE CLIENTS FROM INDIA, DUBAI, SAUDI ARABIA, YEMEN, EGYPT, ETHIOPIA, SUDAN, TANZANIA, KENYA, NIGERIA. INDONESIA, MALAYSIA. ETC. WE ARE LOOKING FOR EXPORT SURPLUS, REQUIRED KNITTED AND WOVEN GARMENTS, AND FABRICS. ANY SURPLUS, SECONDS, REJECTION. PLEASE ADVISE PRODUCTS YOU MANUFACTURE, OR CAN SUPPLY IN EXPORTS. SEND COMPLETE DETAILS OF QUALITY, COLOURS, DESIGNS, PATTERNS, SIZES, PACKING, AND PRICE FOB BANGLADESH PORT. WE WILL SEND ALL DETAILS TO OUR CLIENTS AND CHECK THEIR INTEREST AND TRY TO WORK WITH YOUR ESTEEMED COMPNAY, IN SHA ALLAH. I am intersted in stock lot branded garments.pleaae reply me in my india no 91-9818636639. Hi…Kindly wtsap me available stock on 9891274001. I want to buy surplus branded polo t-shirts for Morocco market. Please advise if you can arrange it. If so please send me details and price. Can we arrange Sgs inspection. Hi plz give me whatsapp number , i wil update stock details. iam mohamed Ali,I am from tamil nadu, TIRUPPUR. i will arrange your requirements, so send me your mobile number. my number is 0091 9363323523, 0091 9150508424. My no is 9818636639 and whattsapp no is 9999646679. Can help you in this case, We have all the Branded clothing in bulk with us. Kindly wtsap me available Stock on 9891274001. I am opening a garment showroom in June so i need all branded garments stocks in BANGALORE, India . Get back to me on this. Whats the criteria to import garments in BANGALORE, India . Hi! Davender Rana i have surplus shoes and i can supply you. WE ARE FROM TIRUPUR – INDIA AND WE SALE EXPORT SURPLUS,STOCK LOT GARMENTS. I need all branded winter stock srplus please contect with me soon. 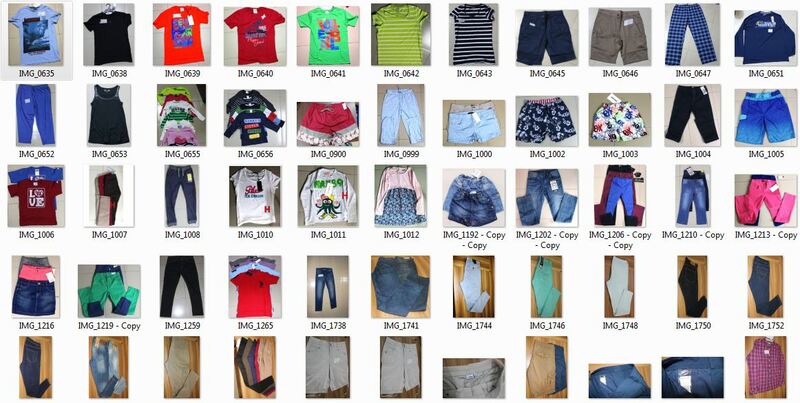 Good post indeed, your data will be helpful for those who will be buyer for branded stock lot garments. Btw, We are a Global Platform for Garments and Fashion Stock lots from Bangladesh, working for 9 years on this sector. theStocklot.com™ is a membership based platform, with a small amount of fee anyone can gain our membership as ours is B2B platform. I need urgently manufacturer or exporter of surplus garments of ladies and gents who can give me all articles on factory rate because I am a wholesaler. Please email us on surpulsgarments@gmail.com whatever you need, Basically we are dealer of garments stocklot.